The fragmentary plays of Euripides are a body of texts still regularly increasing in number and extent. They are of very great interest in themselves, apart from the significant aid they give to the fuller appreciation of the surviving complete plays. This two-volume edition brings together for the first time for English readers the more substantial and important of the plays, about fifteen in all. Each play is introduced by a summary bibliography and an appreciative essay which analyses the mythic background and plot: reconstructs the play as far as the fragmentary text and secondary evidence allow; and discusses themes, characterisation, staging, date, reflections of the story in art and other dramatisations. For each play the fragmentary texts are presented as conveniently and succinctly as possible, together with a brief critical apparatus of sources and readings. An English translation stands on the facing page. The text and translation of each play are followed by a short, primarily interpretative commentary. Text with facing translation, commentary and notes. Christopher Collard, Emeritus Professor of Classics, The Queen’s College, Oxford, was formerly Professor of Classics at the University of Swansea until 1996. He has published widely on tragedy and Euripides in particular. His work includes editions with commentary of Euripides, Suppliant Women (1975, 1984) and Hecuba (1991), and he is co-editor of Selected Fragmentary Plays of Euripides (1995, 2004) and Iphigenia at Aulis (2017). He was General Editor of the Aris & Phillips Classical Texts series from 2007-2016. Martin J. Cropp is Professor Emeritus of Greek and Roman Studies at the University of Calgary. 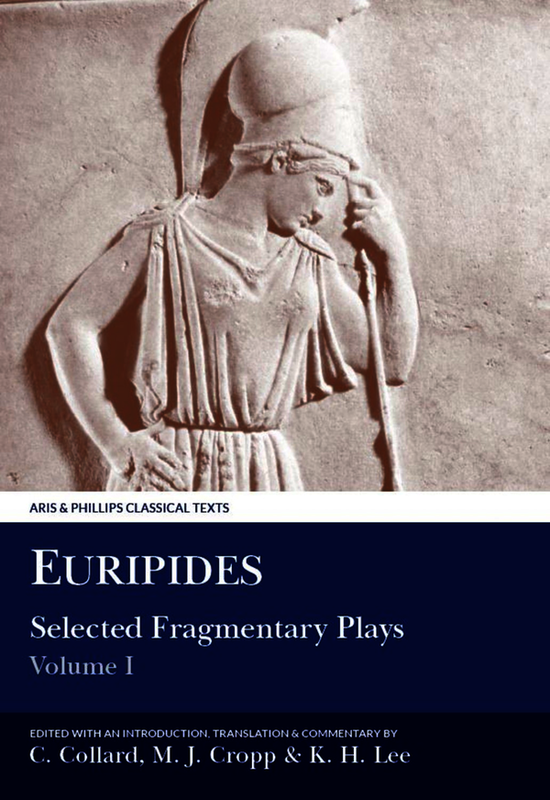 In the Aris & Phillips Classical Texts series he has edited Euripides’ 'Electra' (1988, 2013), Euripides’ 'Iphigenia in Tauris' (2001) and 'Euripides: Selected Fragmentary Plays', Volume 1 with Christopher Collard and Kevin Lee (1995, revised 2009) and Volume 2 with Christopher Collard and John Gibert (2004). †Kevin Lee was Professor of Classics at the University of Sydney. His publications include editions of Euripides’ plays 'Ion', 'Troades' and 'Heracles', and (with Collard and Cropp) 'Euripides: Selected Fragmentary Plays Volume I' in the Aris & Phillips Classical Texts series.